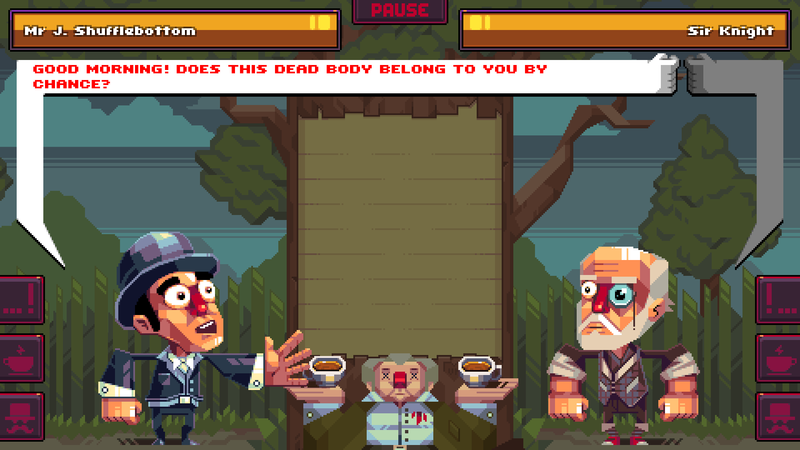 Take a delightful romp through Monty Python-inspired humor in Oh...Sir!! The Insult Simulator. Inspired by the “Dead Parrot” sketch in Monty Python's Flying Circus, Oh...Sir!! 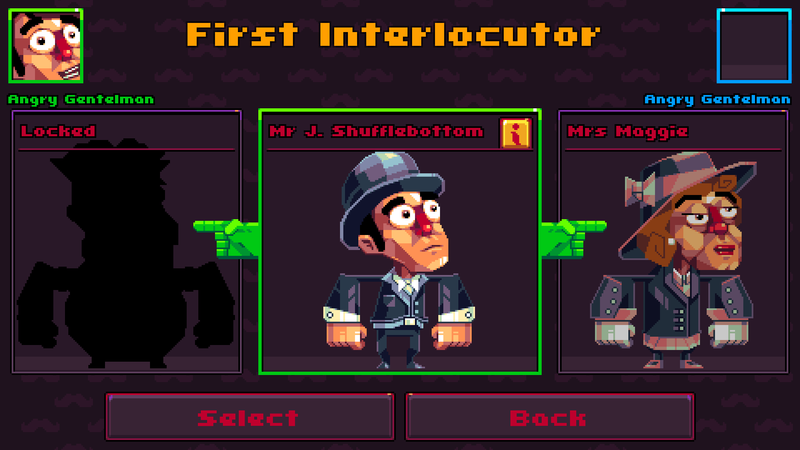 The Insult Simulator is a game that draws on dry British humor and mad-lib mechanics. The first version of the game was made in under 48 hours for the amJam game jam event, and received so much attention that developer Vile Monarch decided to expand upon the game. The full release of Oh...Sir!! features a single player mode where you can insult a variety of different CPU opponents—which is where we did most of our mudslinging. Each character scenario is different, requiring you to play tactically in order to uncover your opponent’s greatest weakness. Some may take offense to insults regarding their sense of style, while the equivalent of “your mother” insults may work on others. If you find yourself growing tired of decimating the CPU, you can grab a few friends, a cold beer, a dead parrot (he’s just sleeping), and throw your greatest insults at them. Lacking real-life friends? No worries, sir! Take to the internet and make some frenemies by partaking in the game’s cross-platform multiplayer. You can get as creative with the insults as you like as long as you remember to use proper grammar; failure to do so will deduct points and make you look quite silly indeed. At the moment there are 5 different characters (special unlocks including Shadow Warrior's very own Lo Wang), and 4 conflict scenarios to choose from. How you play is up to you, although the best way to play is to simply try everything out in order to discover your sharp-tongued character of choice. If you’re concerned about insults that hit below the belt, rest assured that Oh...Sir!! includes only the classiest of affronts such as “your hovercraft is full of eels!” Though, be cautious with that one… some people may be unable to discern your meaning. Overall, Oh...Sir!! 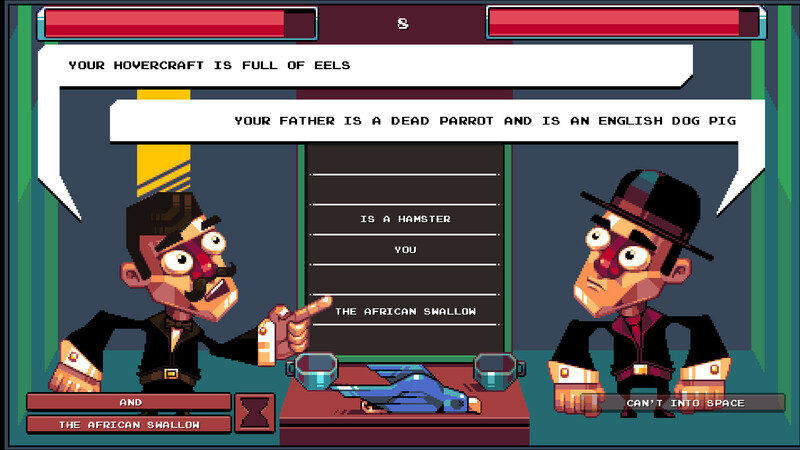 The Insult Simulator is a delightful romp through Monty Python-inspired humor and good, old-fashioned mad-libs. My only critique is that the jabs can start to feel a bit familiar the longer you play, though this can easily be remedied by future patches to the game adding in additional dialogue options. After all, nobody expects the Spanish Inquisition! If you were someone who enjoyed piecing together nonsensical verbal quips growing up, are a fan of Monty Python, or if you’re simply looking for something different, be sure to give Oh...Sir!! The Insult Simulator a try... you'll be glad you did! You can purchase Oh...Sir!! The Insult Simulator on Steam and learn more about developer Vile Monarch on their official website. For more on Oh...Sir!! The Insult Simulator here at Indie Obscura, be sure to check out our interview with Vile Monarch to learn more about how Monty Python inspired them, another interview we had with Vile Monarch regarding how Oh...Sir!! came together, and peruse through our initial preview of Oh...Sir!! The Insult Simulator.